Your innkeeping family Florence and Debbie March, daughter Connie Tarbox, and our talented staff welcome you to explore our bed and breakfast website and call us to help you plan your best Gettysburg vacation. WELCOME TO BATTLEFIELD BED & BREAKFAST. We are glad you are here! Enjoy exploring our website to learn about our great guestrooms, fabulous breakfasts, fascinating history programs, fireside ghost stories, beautiful gardens and nature walks, and our spectacular event venues. CALL US TO HELP YOU PLAN YOUR PERFECT VACATION. Photos of our delicious breakfast, our Solarium and Barn Event Venue, our dog travelers, our history programs, and our guestrooms. 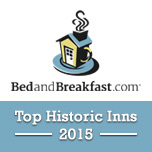 Make Battlefield Bed & Breakfast your special country inn on the Gettysburg Battlefield. Battlefield Bed and Breakfast Inn and Wedding & Event Venue, Gettysburg, PA. Experience an 1809 Civil War Farmhouse located on the Gettysburg Battlefield. Every morning, our historians offer a fascinating history program for our guests at 8 AM, just before breakfast. Imagine staying in a real 1809 Civil War farmhouse on a beautiful 30 acre nature preserve on the historic Gettysburg Battlefield behind Big Round Top. During the Battle of Gettysburg, this was the home of abolitionist Cornelius Houghtelin. The historic farmhouse was used as General Merritt's Headquarters (Union Cavalry.) The historic barn was a field hospital. After Pickett's Charge, the farm was used as a Union cavalry camp. 30 beautiful acres of fields, woods, and wetlands. 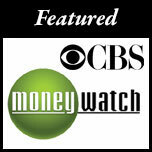 Excellent special events for all ages and interests. Check our event calendar. All breeds of dogs are warmly welcomed with their owners. We do not charge any additional fees for dogs. We recommended dog activities. Children of all ages are welcome to stay as guests. Check out our recommendations for children’s activities. Our breakfasts include a choice of a sweet or savory entrée, breakfast meat, farm potatoes, fruit, baked goods, orange juice, coffee and tea. We happily accommodate special dietary needs. Boxed breakfasts are available for early travelers. Most of the Inn's guest rooms accommodate three to four people. Choose a Traditional Bed and Breakfast Room with a tub/shower combination and queen or king bed, or choose one of our unique Novelty Rooms with king beds and features like jetted tubs or soaking tubs, spacious showers, walk-out patios, historical significance, or massage chairs and a swinging bed. The Inn's rooms each have a personality reflecting the history of this property and the story of the Battle of Gettysburg. Our Solarium Event Venue is the perfect venue for your next Wedding or special event. The Solarium seats 75 guests and is available all year. Our Historic Barn Wedding and Event Venue is a beautiful rustic barn set on the scenic Gettysburg battlefield. The Historic Barn seats 140 guests and is available May through October. Consider our large wedding package for your next Wedding ceremony and reception. 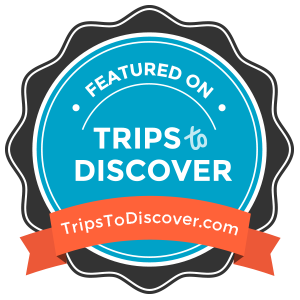 Read what other travelers have to say about our dog friendly, history traveler friendly, and family friendly accommodations. 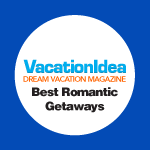 Special recognition for our award winning Bed & Breakfast accommodations.